Water damage may be imperceptibly slow and minor such as water spot that could eventually cover a surface, or it may be instantaneous and catastrophic such as flooding. However fast or slow it occurs, water damage is a significant contributor to discomfort and loss of property. Water damage may be due to different sources such as flood waters, plumbing leaks like broken/leaking pipes, frozen and ruptured pipes, cracked dishwasher hose, a washing machine overflow, a dishwasher leakage, leaking gutters, and clogged toilets. It is always important to do a routine inspection and replacement of worn pipe fittings and hose connections to all household appliances that use water like kitchen sinks, bathroom lavatories, washing machines, dishwashers, and, refrigerator icemakers, water softeners and humidifiers. Miami Dade Water Damage Restoration Services Company is a body of certified professional water damage restoration specialist. We offer emergency water damage services as well as a routine whole-house leak inspection, maintenance and protection. Do you have water trouble? Our experienced and reliable water extraction and restoration professionals are here to clean up your disaster. Whether the cause is broken pipes, sewage backups, malfunctioning appliances, an overflowing toilet or storm floods, we will get your life back to normal fast or even much better. Our licensed and insured professionals will also work directly with your insurance company. We use different water removal methods and restoration measures depending on the amount of water and category of water damage. Water Extraction – We pump or vacuum standing water or sewage from the affected areas. As we extract the water, we inspect the damaged area using water sensing equipment such as probes and other infrared tools to determine the source of the damage and possible extent of area affected. Inspection is crucial as it helps in controlling any further leaks or water flows in the building as the drying and restoration process begins. Check the power supply connections – disconnect the power, unplug any electronics, and remove electronics. Removal & Disposal – We remove all damaged and unsalvageable items and dispose of them properly. The prompt you act and get items out of water’s way, the bigger the probability that more things will be able to be saved. Structural Drying – Our team of experts use professional grade equipment to dry out the structure of the room, sanitizes any affected or cross-contaminated areas, and deodorizes all affected areas and materials. We sanitize the area to prevent mold growth in the future. Dehumidification is also done to manage the humidity levels that may make it uncomfortable to inhabit the room or may provide one of the best conditions for faster mold growth. The period of offering the services. Let us give you peace of mind in an emergency. Our compassionate and dependable specialists will clean up your disaster fast! Miami Dade Water Damage Restoration Services Company doesn’t just restore your home or office; we restore your life. The obvious causes of water damage that are unavoidable are severe natural forces like floods and hurricanes. The damage of water can also occur when the fire gets extinguished from malfunctioning washing machines, leaking pipes, and heaters, plus leaks in the siding and roof. Defects in the gutters will cause water to pool in the house and leak in the basement. Which areas in the property should you watch regularly? Damage can occur in all areas of the property and home, but there are specific places that are more problematic when damaged and need to be watched closely. Check connections and plumbing in the kitchen and bath plus pipelines in the crawl or basement spaces for standing leaks and water. What are the hidden water damage signs? Some signs are inclusive of peeling the wallpaper and paint, mold splotches, condensation and moisture, moisture in the floors or carpet, and a musty smell. Are there pieces or tools of equipment which are vital for detecting and dealing with the damage? Detectors of moisture are vital because they are crucial because moisture causes poor quality of air and causes the growth of mold. These detectors are great for finding hidden water leaks in crawl spaces and walls. You can visit Palm Beach water restoration to hire their dehumidifiers to help you dry the house. What actions will you take after noticing the damage? Immediately after the water-related incident, call the insurance company to tell them about the damage. In case the damages are severe, determine if it is safe to enter or stay outside. If you are not sure, make immediate arrangements of staying elsewhere. What steps do you have to take to minimize damages? In case the home is sound, and before Palm Beach, water restoration arrives, turn the power of the home, natural gas and water supplies off. Cover damaged walls, windows, roofs, and doors with plastic or plywood sheeting to protect all elements. Does the damage cause mold? Water damage can cause the growth of mold and mildew. Since mold thrives in warm and moist environs, any wet area is crucial for the growth of mold. How can you prepare for the expected intrusion of water from a storm? The most convenient way of keeping water from becoming a problem is preparing the property before the damage. One thing you need to know is the method of cutting power off in the home when flooding occurs. Electricity and water are deadly when combined. How can you help speed repairs after a storm? Documenting the damage and communicating with Palm Beach water restoration will facilitate speedy repairs. Inspect the home for damages. Check the structure of the roofing and document missing shingles or the ones that need repairs. Note if the flashing surrounding the chimney is damaged. Check the siding of the home for loose or warped boards. How can you remove standing water? The foremost step to removing water from the home is by sweeping it outside. Any stagnant water on the floors or carpet has to be eliminated with the wet vacuum. Elimination of stagnant water is good for saving the home and money. How does water removal work? A few steps are taken to eliminate water from the property when there is flooding, water-related disasters, or hurricanes. The first thing is that water will get eliminated from the home. The process of dehumidification will follow to dry wet areas. Evaporation will follow, and then air in the room will get tested to make sure that moisture is gone and will not cause additional problems. Other processes carried out by Palm Beach water restoration to recover water include odor control, carpet restoration, wood floor, and drywall restoration, fabric restoration, and mold remediation. Have you ever had water damage on your residential or commercial property? You should not hesitate to call water damage restoration professionals from a reputable company. Waiting for longer hours may end up increasing the extend of damage. There are some cases when you can handle the restoration on your own. However, there is some level of risk that you will be taking by going for the DIY restoration project. A company like our Water Restoration will give you effective services at very affordable rates and you don’t have to bother yourself with the DIY attempts. Here is a summary of the services that you will get from any reputable water damage restoration company. The first attribute of a good water damage restoration company is that it should be available on a 24/7 basis. Most of the professional water destruction companies run on a 24/7 basis. Time is an important factors when dealing with water destruction issues and a small delay can significantly enhance the losses and this may lead to higher restoration expenses. If the flooding came as a result of the pipe bursting, you should start by shutting off the water supply and then calling the professionals with immediate effect. If the flooding is caused by roof leakage, hurricanes, floods, or sewage backup, don’t even wait for a second. Its wise to call a reputable water damage restoration company so as to minimize on the losses. Our Water County Restoration is always available to serve you all day long and throughout the night. 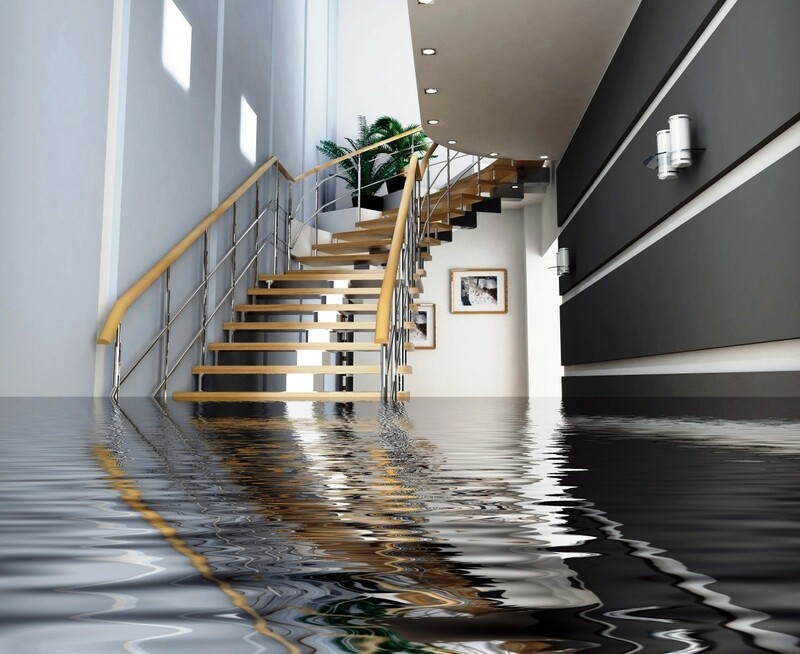 We understand that water damage can occur at any time and we exist to offer prompt solutions to this problem. According to insurance companies, most of the claims that are made by homeowners come from water damage. This means that this is a true problem that face humanity. However, the insurance specialists claim that over ninety percent of these water damages could have been prevented by use of leak detection systems, standard shut-off system, and other simple home maintenance steps. Most of the flood claims cost over $5,000 on average in repairs. Therefore, homeowners should be able to identify any possible threats of water damage to avoid some of these unnecessary expenses. Remember you can lose your valuable assets and documents from such incidences. Like the old saying goes, prevention is always better the cure. Rain is one of the most common source of water damages in homes and offices. Statistics from insurance companies show that rain water make close to 8% of the total water damage claims. Did you know that even small rain amounts can wear down at your home over time and cause a lot of damage to the foundation and interior of your house? Extreme weather conditions like floods can also cause massive damages to your building. Therefore, you must make sure that the building has the right protection all the time. Flood damages can lead to large amounts of standing water and this can be so dangerous. Apart from destruction, the stagnant water can lead into harmful pathogens and bacteria that may lead into serious illness. The other common source of water damages is plumbing incidences. Some of the plumbing problems are pipe leaks and burst pipe within the walls. It can be very hard to detect some of these issues. If these issues are not detected for a long period, they can cause severe water damages. Burst and leaky pipes are the most popular culprits of flooding damages. This often results from baked up toilets and drains. According to experts, you need to inspect your pipes on a regular basis so as to detect any problems that could be coming up. Once you detect any potential problems, you will be able to take corrective measures before any real problems occur. Malfunctioning and old appliances can also cause havoc to the internal water systems of your home. Cracked or rusted pipes and weak hoses can result into water accumulation and leaks in the future. Most homes also experience damage from old and faulty hot water tanks and washing machines. In addition, refrigerators, water heaters, and dishwashers can also become sus susceptible to damages over time. Replacing and fixing old machines can also prevent future water damage and leaks. The other source of problem relates to the ventilation, heating, and air conditioning systems. We have some people who don’t know that they should regularly maintain their heating and air conditioning systems. Not taking good care of these systems can allow moisture to build up on them and this can lead to mildew and mold growth. You can prevent these issues by scheduling regular maintenance with professional companies like Our Water, Fire, and Mold Restoration. In the long run, it may be good to replace all the old fixtures so as to prevent the buildup of moisture. This will, in turn, prevent water damages in the long run. However, some of the water disasters result from natural disasters that are uncontrollable. However, its good to prevent those that you can through periodic maintenance and regular inspections. You can also install a leak detection system of shut-off system in your home to shut off your water and catch leaks automatically in case of a hazard. The right preventive measures and investing in small repairs may save you hundreds or even thousands of dollars in the long run. Class 4 destruction will take place when the water has gone to the extent of saturating even the non-porous materials such as stone. This is the most serious form of water damage and takes place when you fail to dry out the house with immediate effect. Some of the delays could be due to technical reasons like not being sure whether the building is safe for the restoration team to get in. You will also require expertise inspection to determine whether the house can be saved and how this can be done. For example, repair can be the most effective solution if the foundation is still intact. Even though having an insurance cover for flooding is not a preventive measure, it can help you to handle the consequences of water damage. You also have to get the right water restoration company to handle this kind of mess. Our Water, Fire, and Mold Restoration has the right expertise to handle any extent of water damage destruction. We will also advice you when the house is not safe for restoration. What you don’t know can have adverse effects on you and your household when it comes to dealing with the effects of water damage. Some of the damaged can lead to high insurance rates, reduced resale value of your property and home, or even health issues in the long run if you don’t handle them in the right way. Therefore, you must be able to repair these damages promptly. You should learn how to protect your loved ones and property from any water-related damages whenever such a calamity occurs. Remember you will not have enough time to research when you are hit with water damages. You need to equip yourself with these tips all the time because you can never tell when this calamity is going to occur. Its good to always hope for the best but prepare for the worst. Here are some of the things that you need to know as you prepare for the water damage restoration process. Time is of great essence when you are dealing with fire damage issues. When you are facing water damage in your home or office, it’s imperative to contact a reputable water damage repair company with immediate effect. Failure to act promptly can lead to further damage in your property. The repair process may end up being very costly due to delayed responses. Don’t sit down till the following morning before you contact fire damage restoration services. A company like Our Water, Fire, and Mold Restoration offers 24/7 approach to all their customers. Therefore, you will have no excuse to fail to report the incidence on time. in addition, mildew and mold can begin to grow within 24 to 48 hours. It is prudent to remove all your furniture and other valuable items from the affected area until you are able to return the humidity levels back to normal and extract all the water. Make sure you remove your valuable assets and documents even if the area is no longer in direct contact with the water. General unsanitary and high humidity conditions can contaminate other items in your space. Its good to work with a reputable water damage restoration company that provides storage and relocation assistance to the client’s property. You have to make sure that your items are safe as you wait for the restoration team to complete its work. Extensive water related damage restorations will always attract financial support from the insurance company. This is the primary responsibility of insuring your property. There is no need to risk the security and health of your investment and family members by trying to handle this task on your own. Look for a reputable water damage restoration firm that works with your insurance company. Such a company will help you to restore your property and process the claim. Its always go to remove the contaminated items more so if the damage results from sewerage overflow, flooding waters, and other water sources that are harmful. The rule of the thumb is that you should throw it out as long as you are in doubt. Highly qualified water restoration experts will provide you with valuable information on whether your belongings are safe or not. They will also tell you if it is possible to clean your belongings. Water damage can affect the whole home including your hardware flooring, upholstery, drywall, and even air quality. You can save a lot of time and money by hiring a restoration company that can provide the full service that you want. One of the best brands when looking for exemplary service is Our Water, Fire, and Mold Restoration. The most important thing is to solve the water damage issue from the source.